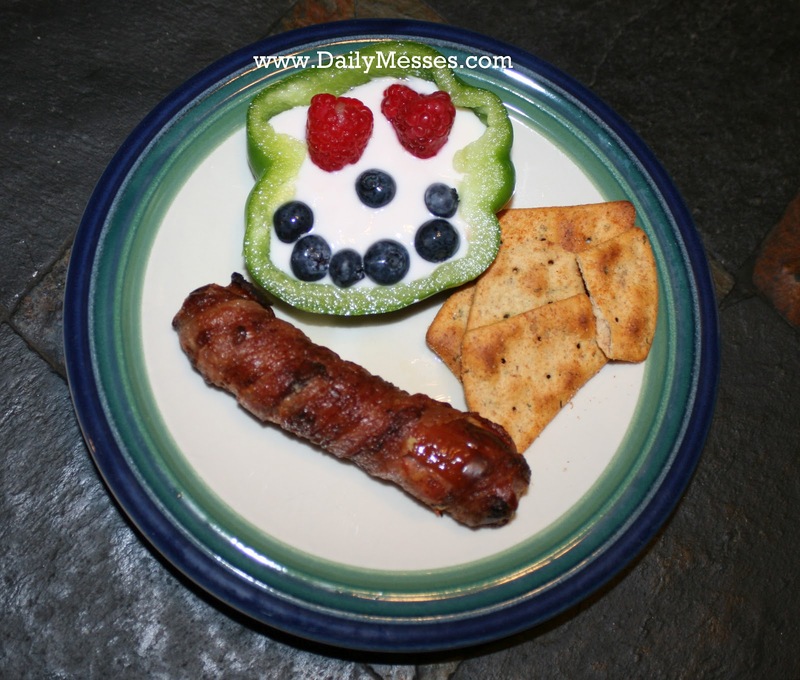 pepper half filled with yogurt and a berry smiley face. As I was doing some reading on other blogs, I came across hot dogs wrapped in bacon! I had to try it! 1. 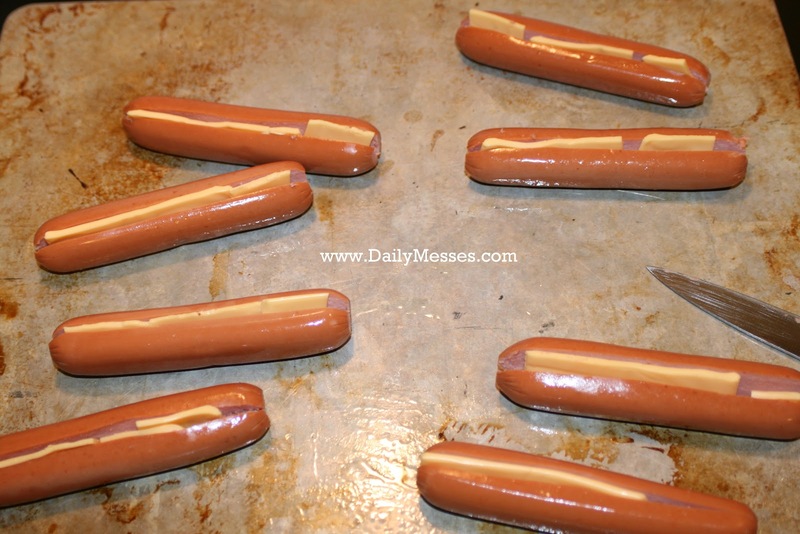 If desired, cut a slit in the middle of the hot dog and place a piece of cheese inside. Make sure not to cut all the way through. 2. 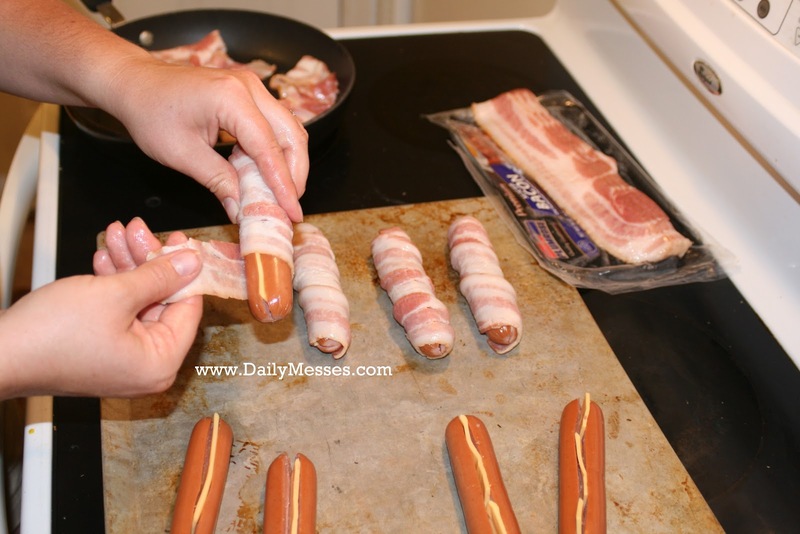 Wrap the bacon tightly around the hot dog. Make sure to cover the entire hot dog. 3. 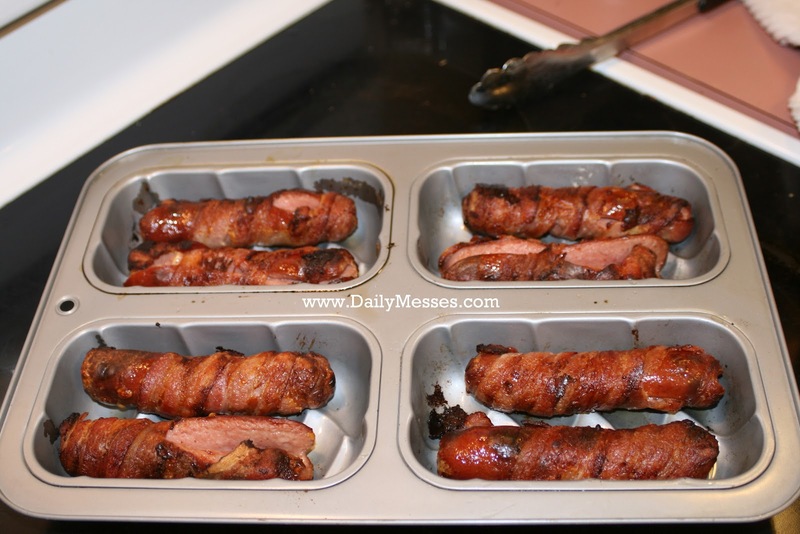 Place bacon on a cooking sheet with the loose ends of the bacon down. I found it best to use a pan with edges, like a loaf pan or a pizza tray. Otherwise, the bacon grease could drip to the bottom of your oven and make a huge mess. 4. Cook on Broil until bacon is cooked, about 5 minutes. Flip and cook on the other side. 5. Serve and enjoy! Add on your own sides to make it a great lunch. I added a pepper bowl filled with yogurt. I made a smiley face on top of the yogurt with blueberries and raspberries.